Perfect for meatloaf, baking breads and desserts. 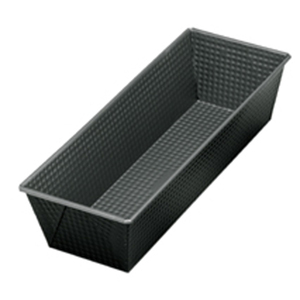 Heavy gauge steel pans corrugated for extra rigidity. Measures 10" x 4.5" x 3"/25.5cm x 11.5cm x 7.5cm. Made of heavy gauge steel with a nonstick coating. Square folded corners and tapered sides. Hand washing recommended.